Sold as a blind assortment. 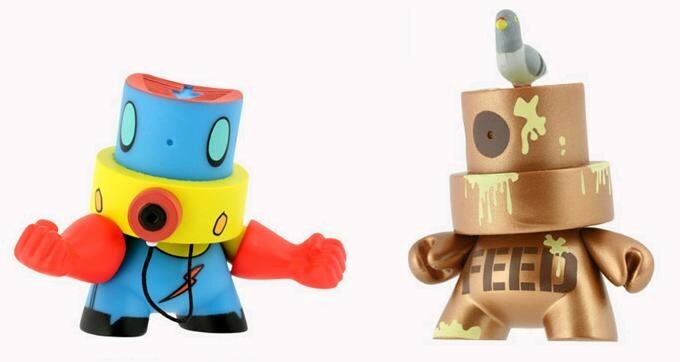 FatCaps are back with 17 new rattling personalities plus two uber-rare chases. Masterminded by Bubble Fetishist, Tilt, Argentine art troop DOMA, graffiti writer Sket One, and a team of other graf stars, these 3-inchers guard their work with dangerous accessories including machine guns, bull whips and batons. Also featured in this series: Andre Charles, Dalek, Flying Fortress, Lady Pink, Lastplak, MAD, Mr. Shane Jessup, Nathalie Oswald, Phetus, PON, Quisp, Reach, SHOK-1, Tizieu, TOOFLY, and ZETA.